Valour FC announced Monday it has signed midfielder Dylan Carreiro and forward Tyler Attardo to multi-year-deals. Carreiro, 24, was drafted second overall by Valour in last fall’s inaugural CPL-U SPORTS Draft. The signing marks an official return to Manitoba for the former York University midfielder, who previously spent time with Toronto FC’s youth program, Dundee FC in Scotland and League1 Ontario’s Woodbridge Strikers. Tyler Attardo sprints during the #GotGame Open Trials in Winnipeg. 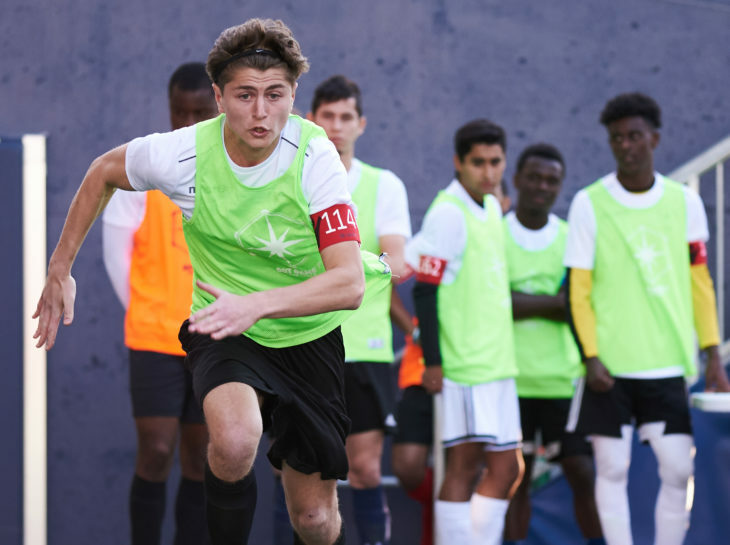 Attardo, 17, comes to the club after impressing at the league’s Open Trials in Winnipeg, where scouts described him as one of the best finishers in Manitoba. In 2016, the striker was invited to participate in a Residency Academy program in Italy with A.C. Chievo Verona. He was invited to attend again in 2017-18, and spent five months with the club on each occasion. Carreiro and Attardo join Tyson Farago, Jordan Murrell, Skylar Thomas, Raphaël Garcia, Raphael Ohin, Dylan Sacramento, Glenn Muenkat and Stephen Hoyle on Valour’s inaugural roster.